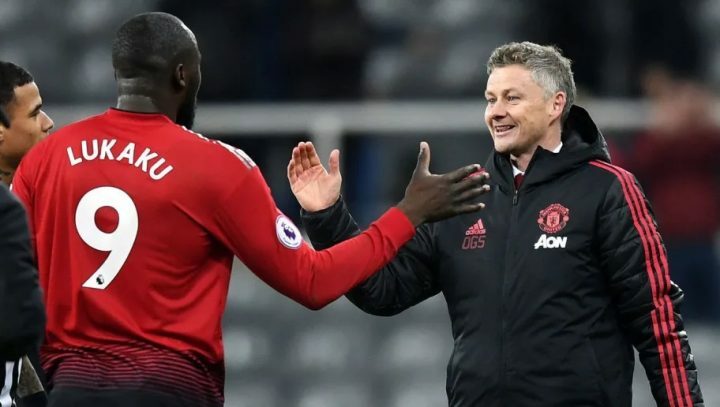 Manchester United officially has its new manager, and it will be now former temporary boss Ole Gunnar Solskjaer that will lead them going forward. The former United player took over back in December after the team had fallen well off the pace in England. Since then, he has reinvigorated the team and made them a contender in a very short time with his players coach style. He has signed a three year deal with the club, becoming the first former player to manage them since long-time manager Sir Alex Ferguson retired some years ago. It’s been a decent start to life under Gregg Berhalter for the United States Soccer Team. Not great, but also not terrible. They defeated Ecuador 1-0 thanks to a fluky goal last time out and then hosted Chile in a 1-1 draw on Tuesday night. 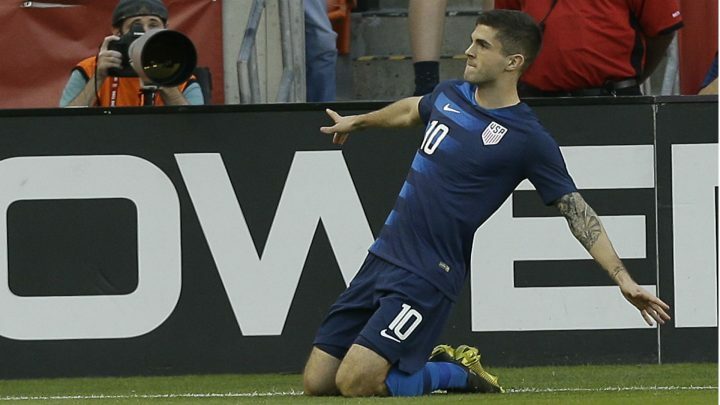 Christian Pulisic was the start of the night, scoring a brilliant chip after just four minutes. Unfortunately, the visitors leveled matters before long. Then Pulisic went down with an injury, causing consternation as fellow star Weston McKennie also got hurt in the previous match. If they can stay healthy and remain together learning the system, we could be looking at a US team that exceeds expectations for a change. The Gronk retirement didn’t come as too much of a shock, but news broke on Monday that Conor McGregor, the controversial UFC and one-time boxing star, would be hanging up his gloves via Twitter. 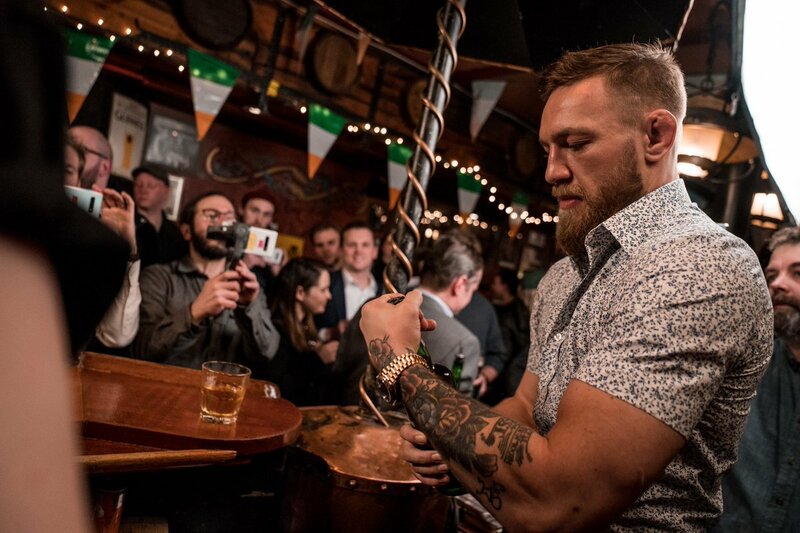 The 30 year old has found himself in a lot of trouble outside of the Octagon in the past, but it’s still a surprise that he is making this move given that he had just indicated that negotiations had begun between him and the UFC for a return. UFC President Dana White pointed out that he believes the retirement is legit since McGregor has earned a ton of money from fighting and because his business is doing well. It’s just tough to see how he will survive without it, such is his need for attention, and quite honestly, violence in his life. 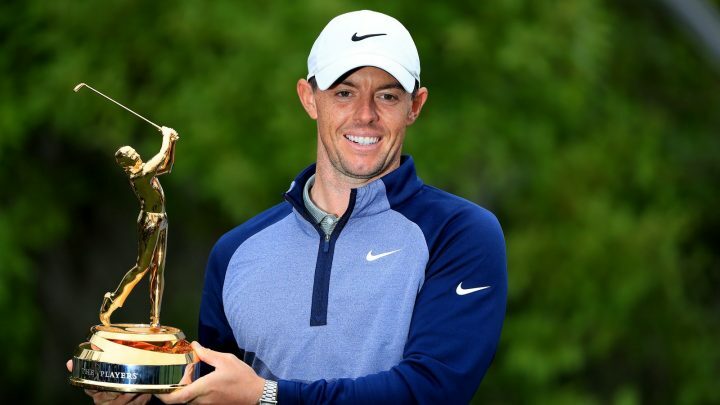 Rory McIlroy won his first Players’ Championship on Sunday afternoon after a brilliant back nine took him to a one stroke victory over Jim Furyk, netting him a cool $2.3 million in cash along the way. The Northern Irishman hadn’t begun his final round all that well, but he would fight back as the day progressed to make six birdies in total. Two of them came on the 17th and 18th holes, helping him leapfrog the long-finished Furyk to the top of the leaderboard. With the Masters just weeks away now, the talk will be shifting toward whether Rory is in the form to win it or not. And finally in NASCAR, Kyle Busch has achieved something only one other man has ever done before: win 200 races. Unlike Richard Petty, however, he has done so by winning in three series in the sport, causing many fans to debate the relevance of the record. Nonetheless, it’s well worth pointing out and deserves mention. Busch has won over 50 races in all three series: the Trucks, the Grand National, and the Cup Series, making him one of the most complete, all-around drivers we’ve ever seen. 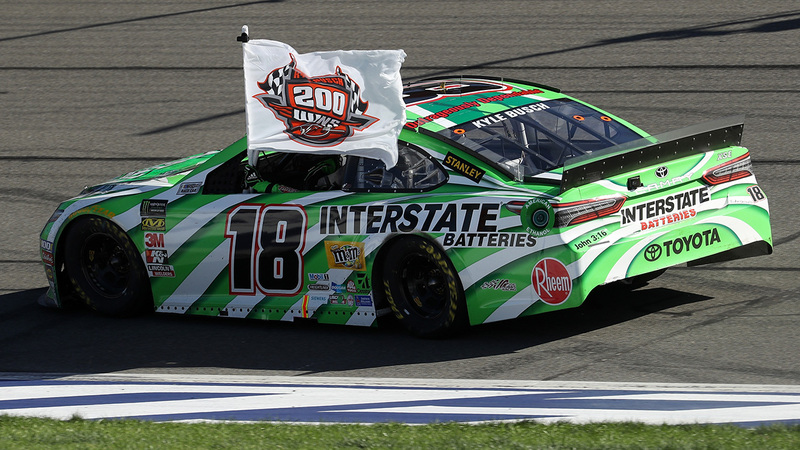 His win at Auto Club Speedway in Fontana, California yesterday, about as dominant as it gets, just summarizes what he brings to the table when he is at his best. 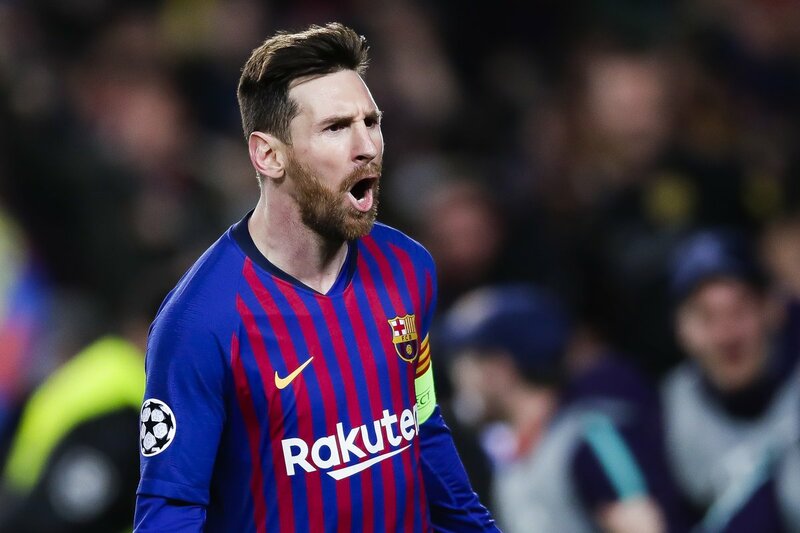 The draw for the UEFA Champions League semi-finals has now taken place. We know the fate of the eight teams left. In perhaps the biggest profile match of the round, it will be Manchester United taking on Barcelona. Tottenham taking on Manchester City comes in a close second, though, while the other two games look a little bit more predictable with Liverpool facing FC Porto and Juventus tangling with Ajax. 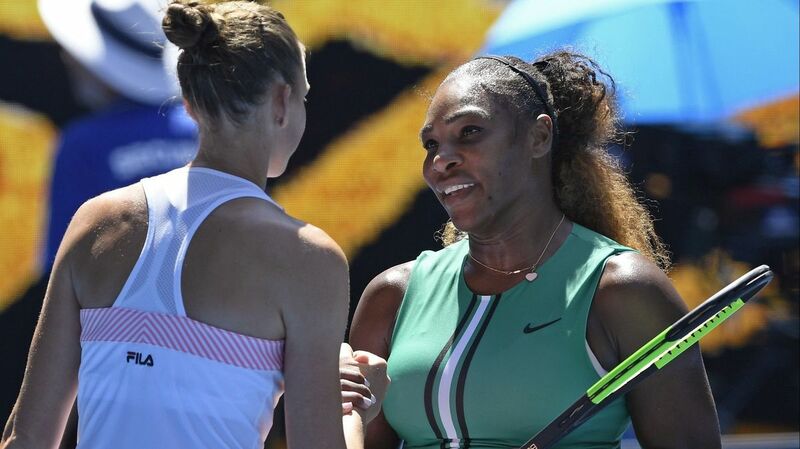 It all, though, has to be decided on the field of play, and this is a competition that continues to be unpredictable as all get out. Will Messi or Ronaldo once again win it, or will a new powerhouse emerge? We’ll start finding out before too much longer. 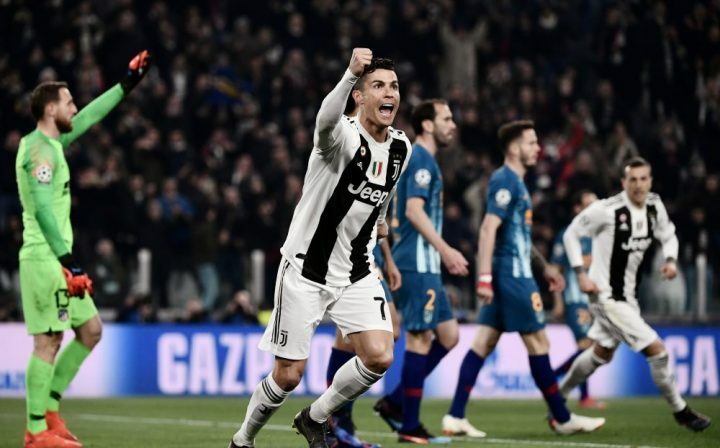 Speaking of famous nights, that’s what happened when Atletico Madrid visited Cristiano Ronaldo and Juventus on Tuesday. Atletico had a 2-0 lead from the first leg, meaning they needed to not fall apart to advance. Guess what? They fell apart. Who did it to them? None other than the aforementioned Ronaldo, who buried three goals, with the last coming late in the game to hand the Italian team a spot in the quarterfinals of the Champions League. Ronaldo will be looking to give them their first title in that competition in quite some time, but it would be his fourth in a row should it come to fruition. In England, a massive rivalry was set to play out on Sunday afternoon between Birmingham City and Aston Villa, both hailing from the city of Birmingham. 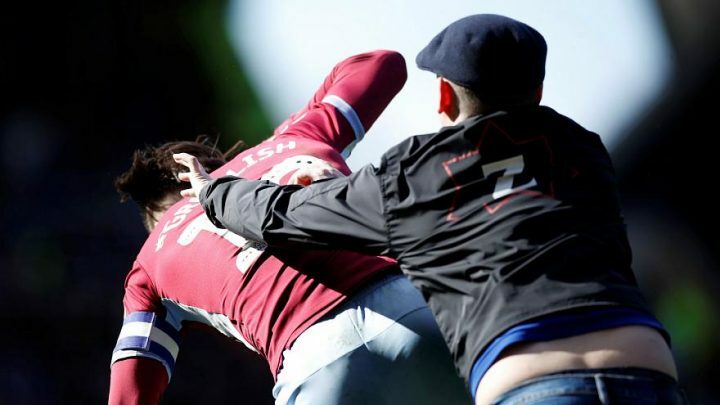 It was blue against red, just like any other ‘derby.’ Except it wasn’t when a fan ran on the field and sucker punched Villa’s best player- Jack Grealish- in the back of the neck. The scenes were shocking to say the least. In America and in England, this sort of behavior has not been seen for a long, long time. It needs to stay that way, of course, but this has begun to be tested more and more. The NBA has had recent problems. How leagues deal with this is going to be essential to keeping not only players but fans safe, too. As for Birmingham City, expect them to miss out on having fans at home games for a while to deter this sort of ugly behavior from ever happening again. Team USA didn’t have much going for them all weekend long in Paris. But Team Europe sure did. 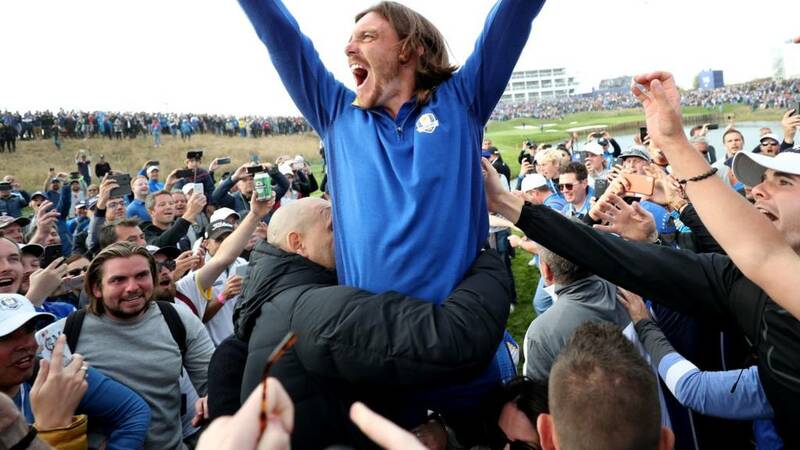 The Europeans, always overlooked when the Ryder Cup begins for whatever reason, once again put the Americans to the sword in what was a dominant display for virtually the entire weekend. Friday’s early session began well for the Americans, but from then on they never even looked like a danger for the European squad, who simply gelled much better when playing together and then used that advantage to pull away on the final day of play when it turned to singles competition. The most disappointing thing to the Americans is that both Phil Mickelson and Tiger Woods, who had just won his first tournament in five years, didn’t even take a single victory all weekend long. Mickelson was especially bad, and for whatever reason was put in the alternate shot format despite having a poor record in that for some time. But, Europe won it 17.5-10.5 for a very good reason. They had the better players, played better together, and that is why they will be taking the Cup home after holding firm with home course advantage. Two very big college football results came down the pipeline on Saturday. The first and most notable one was the one between Penn State and Ohio State. Penn State, playing at home in front of a rowdy crowd, had a 12 point lead as the fourth quarter started, but saw it all disappear before their eyes as the Buckeyes came back to win 27-26. The Nittany Lions had a chance late to get something, but a strange decision to run on fourth down backfired and saw head coach James Franklin left red-faced. In the other big game of the day, Notre Dame dominated Stanford to win and remain on course for a place in the playoff come the end of December. The Fighting Irish, ranked no. 8 coming into the weekend, got the job done 38-17. It was close until late, when they poured on 14 points in the fourth to give them a win and get them closer to a possible place in the final four.